Alexander P. S. Darlington, Juhyun Kim, José I. Jiménez, and Declan G. Bates recently published the new P4SB-related article "Engineering Translational Resource Allocation Controllers: Mechanistic Models, Design Guidelines, and Potential Biological Implementations". It was first published on October 15, 2018 in ACS Synthetic Biology. ACS Synthetic Biology is published by the American Chemical Society, and available via their webpage. P4SB Presents at Symposium for Biotechnology and Chemistry for Green Growth! P4SB's Professor Lars Blank has recenly presented the project at the Green Growth Symposium in Awaji, Japan, on 10th and 11th of September 2018. 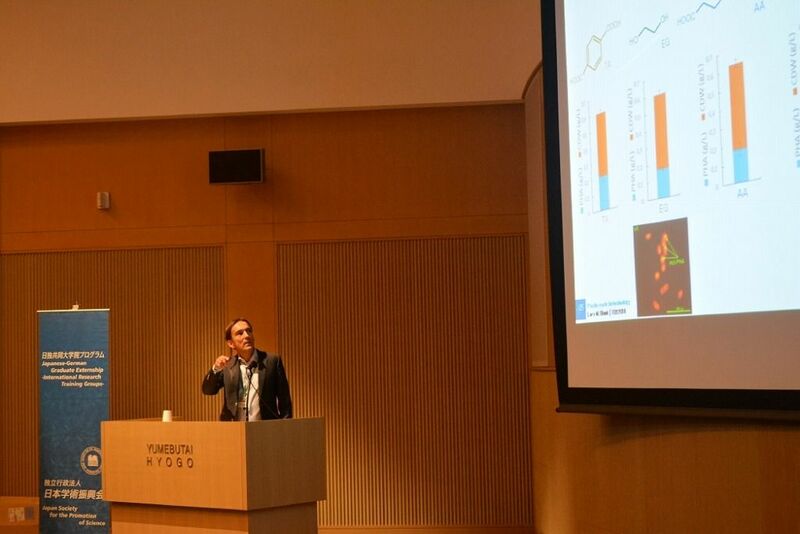 The JSPS Japanese-German Graduate Externship International Symposium "Biotechnology and Chemistry for Green Growth" was part of the Japanese-German Graduate Externship Program. Want to learn more? Visit the Symposium Webpage! On the 5th of September 2018, five students from Taiwan visited RWTH's Istitute of Applied Microbiology, where they met with some of our project's members. 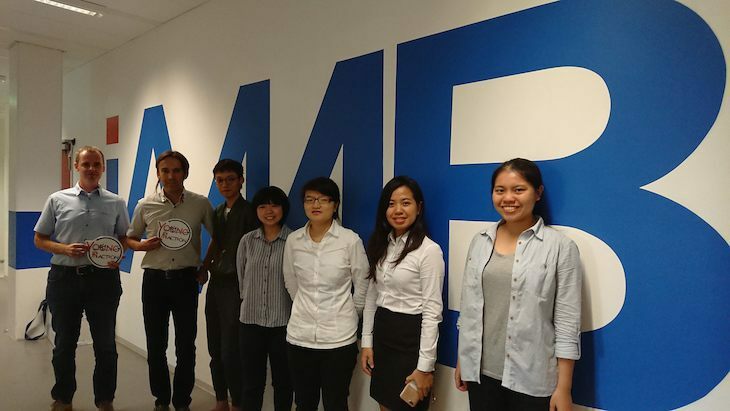 The 5 visiting students, who had won a Competition from the Taiwanese Ministry of Education with a proposal on biodegradable plastic, spent a day at RWTH as part of a study trip through Germany. The aim of this trip was to learn more about the science and technology of biodegradable Plastics, and to ultimately use the newly gained knowledge to help reduce the plastic pollution in Taiwan. All the best of luck to these young innovators in their studies and future careers! Ren Wei Presents at 9th International Congress on Biocatalysis! 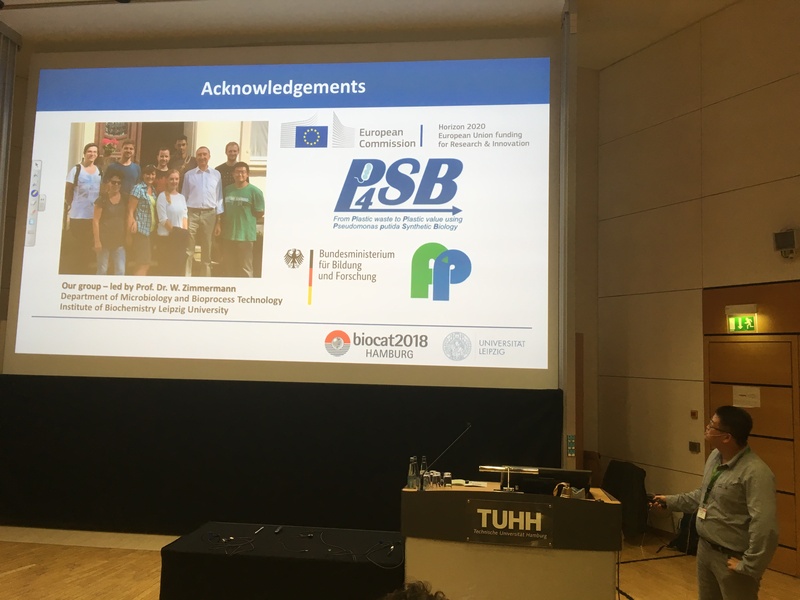 At the 9th International Congress on Biocatalysis, P4SB's Ren Wei gave a presentation on "Biocatalytic degradation of synthetic polymers with thermophilic bacterial polyester hydrolases". The Congress took place from 26th to 30th of August 2018 in Hamburg, Germany. Congratulations to all involved! Want to know more about the 9th International Congress on Biocatalysis? Go visit their webpage!